Driftwood Creek is a one bedroom cottage built for people who appreciate luxury living with a rustic atmosphere. 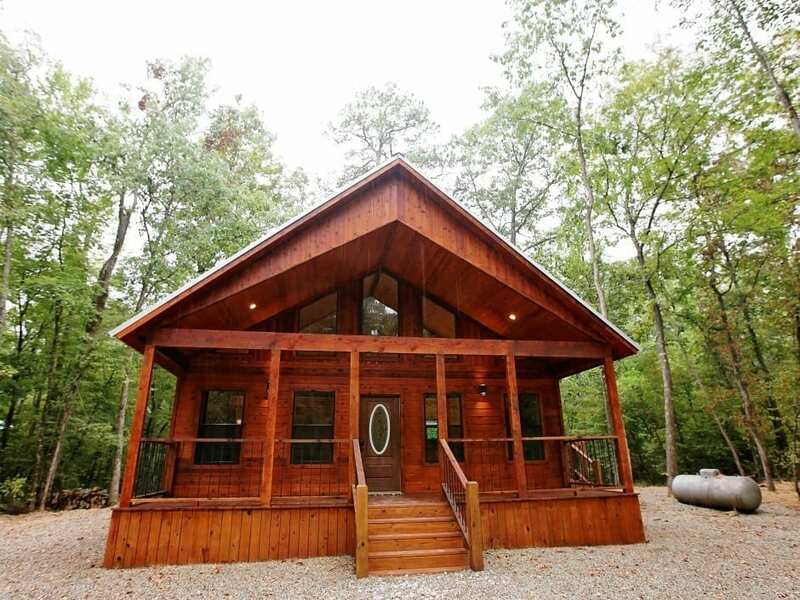 Enter into this rustic atmosphere to find all the amenities you need for a relaxing getaway. The open floor plan of the living room and kitchen is setup so that guest can be involved in all activities. The natural stone fireplace has gas logs (seasonal October through April). A HDTV is mounted on the side wall with Direct TV channels (PPV not available) The sofa converts into a queen sleeper. The large open kitchen features upgraded appliances including a dishwasher, cook top, granite counters. Automatic drip coffee maker (filters and coffee provided), blender, hand mixer and toaster are stocked in the cabinets. Dinnerware, cookware, bakeware, cooking and eating utensils provided. Master Bedroom features large king size bed, electric fireplace, master bath with corner jacuzzi bathtub and tiled shower. 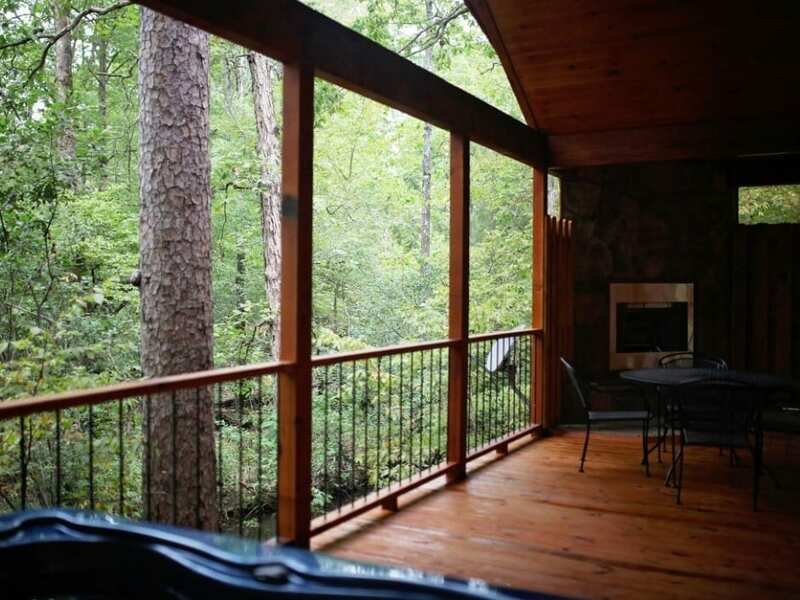 Master bedroom has direct access to large deck on back. 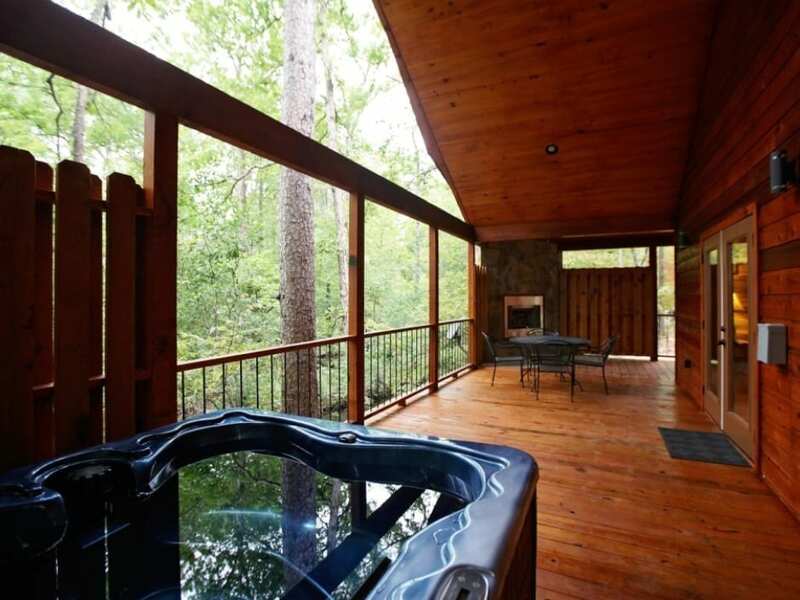 The back deck has a 4-5 person hot tub, wood burning fireplace on deck with ample seating. Enjoy cookouts with the gas grill provided. 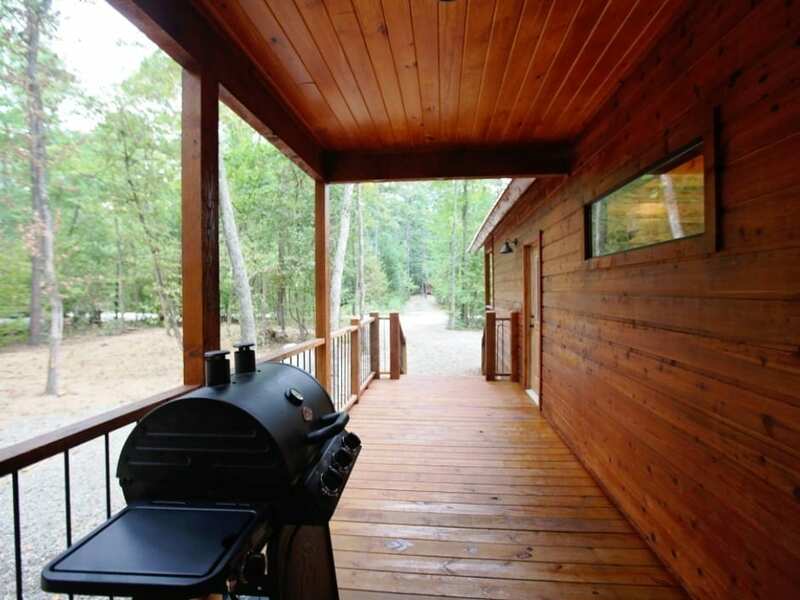 Gas grill with propane provided is located on the outdoor decks.